Harlequins today revealed the Club’s ground-breaking 2018/19 Charity Jersey – Quintessential Flash – designed to ‘come alive’ thanks to inbuilt flash technology. 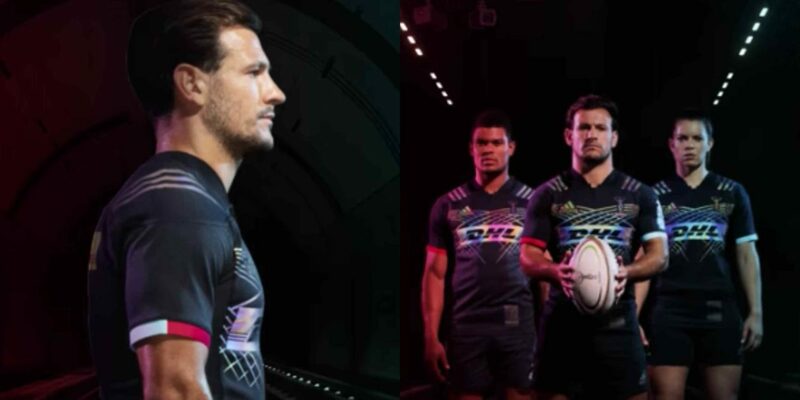 The industry-first kit, developed by adidas rugby and to be worn at Big Game 11, uses technology taken from reflective foils normally seen in running and cycling apparel. The tonal graphics and logos come to life when the colour reflective technology is exposed to vibrant light and the Harlequins colours are flashed back from within the jersey. The design is inspired by Harlequins being the London rugby team and the vibrancy of the capital at night. The Club will always stay true to its DNA so the colour reflective technologies contain the full spectrum of the iconic Club colours. Electric tones of Blue, Green and Magenta represent the city when the sun goes down.